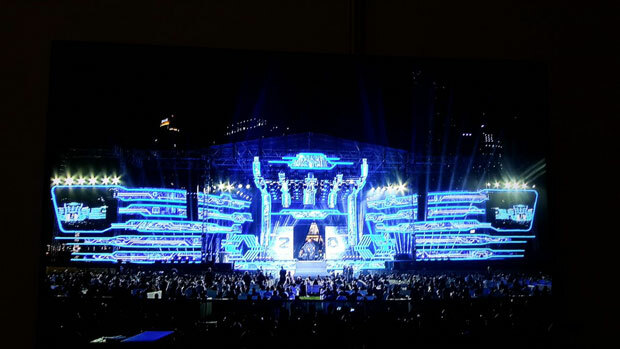 The city of Dubai was lit up grandly, as it warmly welcomed the arrival of South megastar Rajinikanth along with Bollywood superstar Akshay Kumar for their forthcoming film 2.0. 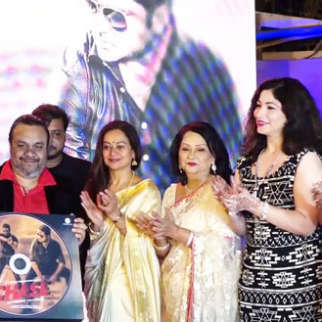 The sci-fi drama that marks the return of Chitti after seven years, will also feature Amy Jackson as the leading lady and the music of the film, composed by AR Rahman was launched in Dubai recently. 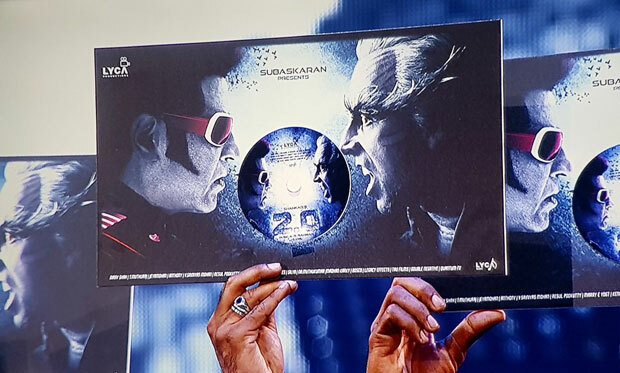 The audio launch event of 2.0 however was not like any other audio event and was promoted extensively along with a grand set that was mounted for the same. 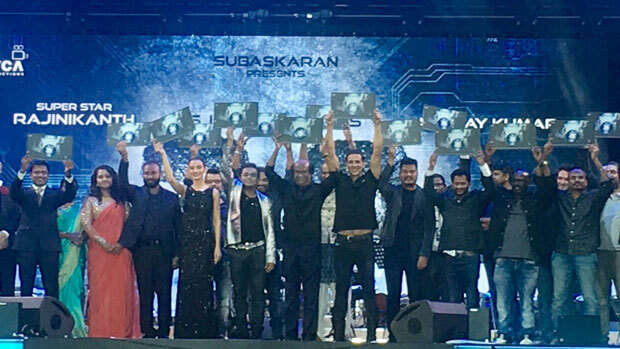 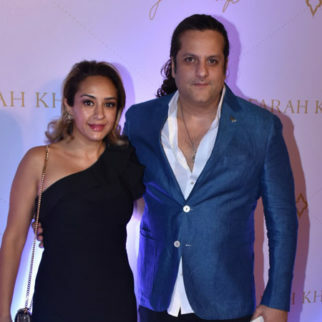 While it is not a secret that this sci-fi is made on an extensive budget with it being one of S. Shankar’s most expensive films till date, it was also a star studded event with not just the cast but even other prominent names from the industry attending it. 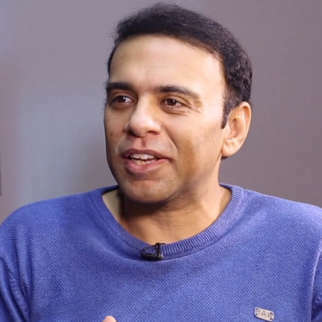 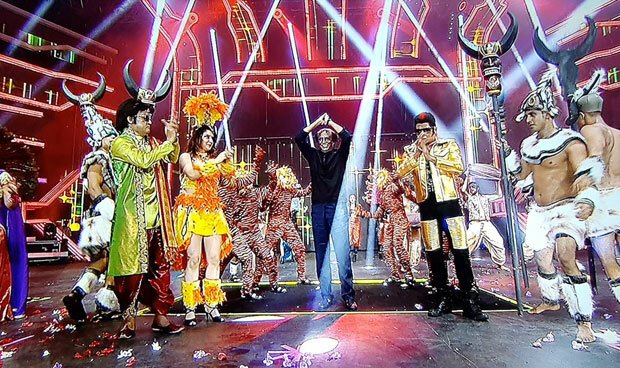 Renowned Bollywood director-producer as well as anchor, Karan Johar took the stage to host the event along with actor Rana Daggubati and presenter R Balaji. 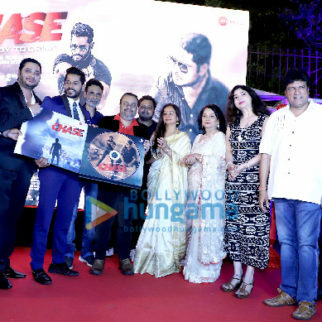 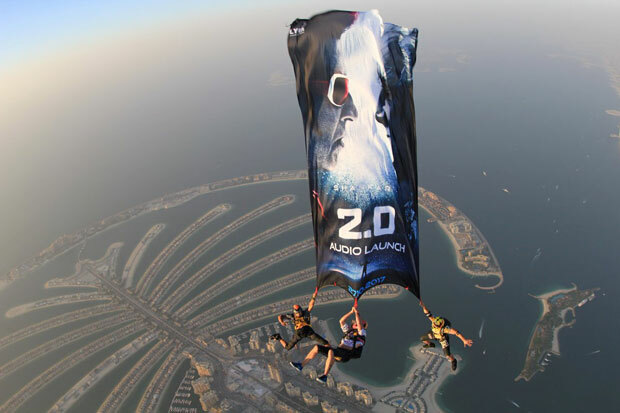 Furthermore, the promotions planned for the audio launch too were unique with skydivers holding the film’s flyer as a parachute. 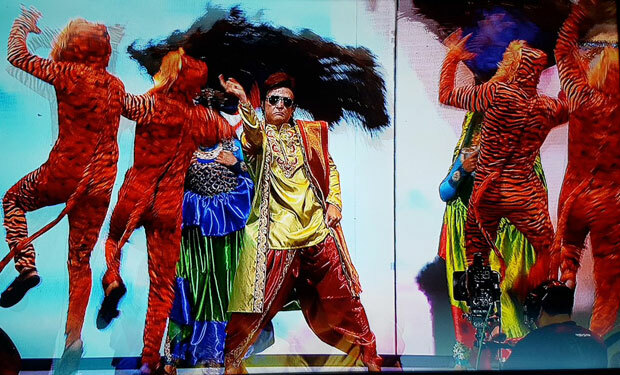 If that was not all, the Dubai artists also had many performances ranging from complicated aerial dances to light festivals that were enjoyed by the locals and the stars. 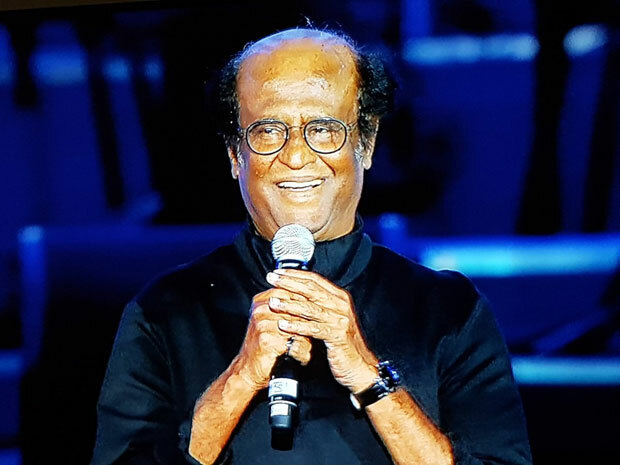 A special tribute was paid to the megastar of all times, Rajinikanth. 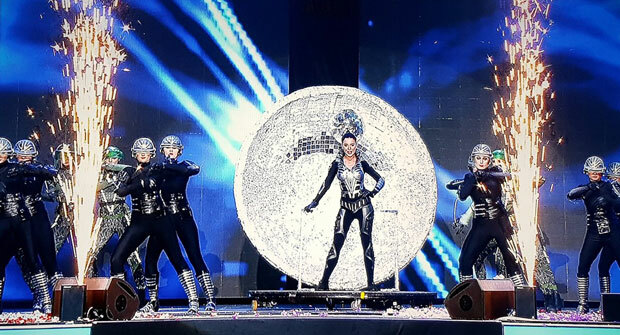 Stars from the film, Rajinikanth, Akshay Kumar and Amy Jackson attended the launch with the latter two even giving a fabulous and enthralling performance on stage. 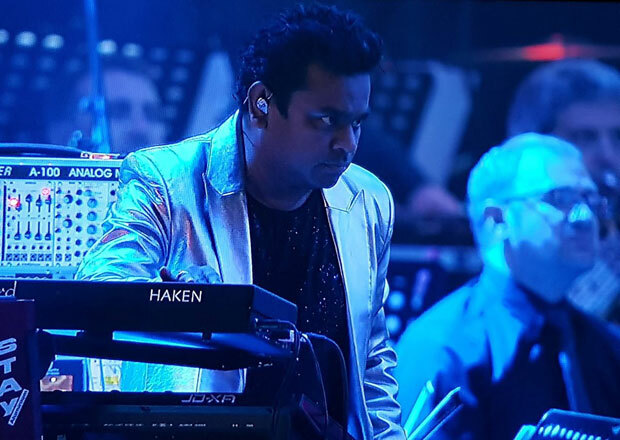 Besides them, AR Rahman who too was a part of this mega event with his friend and colleague Shivamani, performed for a live audience. 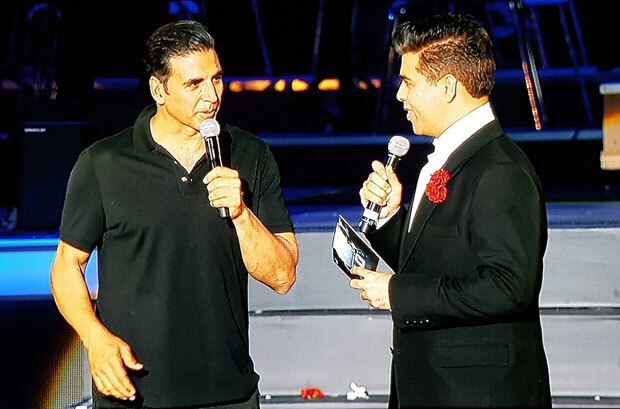 On the other hand, Akshay Kumar and Karan Johar ended up having a fun conversation on stage. 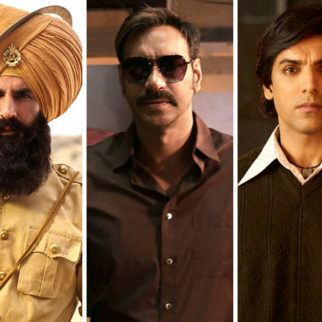 Interestingly, the two of them will soon be coming together for a film titled Kesari. 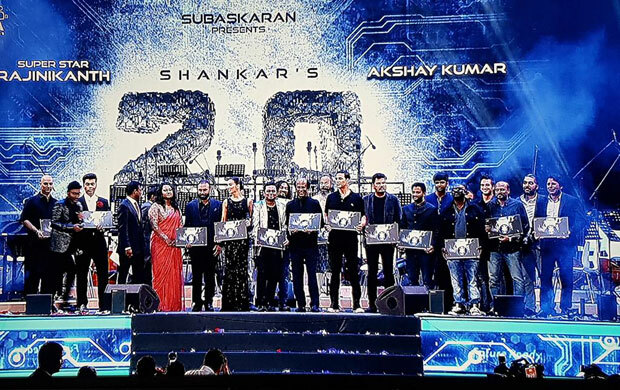 Giving us a sneak peek into the event was the official handle of the film @2point0 wherein they have not only shared pictures but also videos. 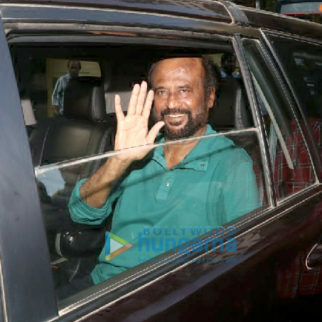 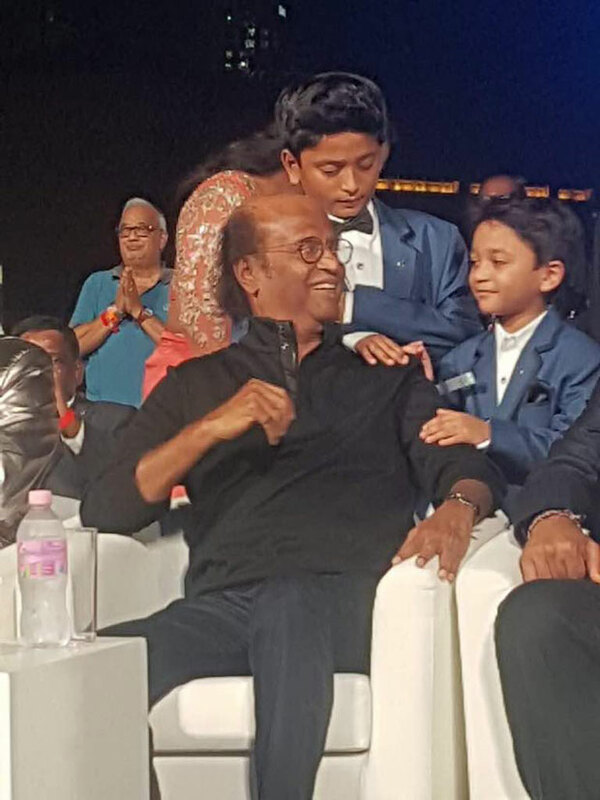 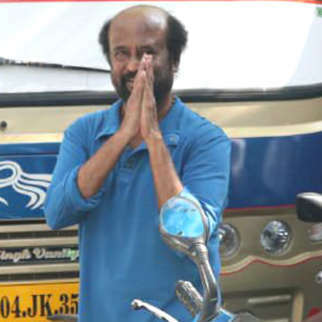 Also Rajinikanth attended the event with his family which not only includes his daughter Aishwarya and her actor-hubby Dhanush but also their children Yatra and Linga. 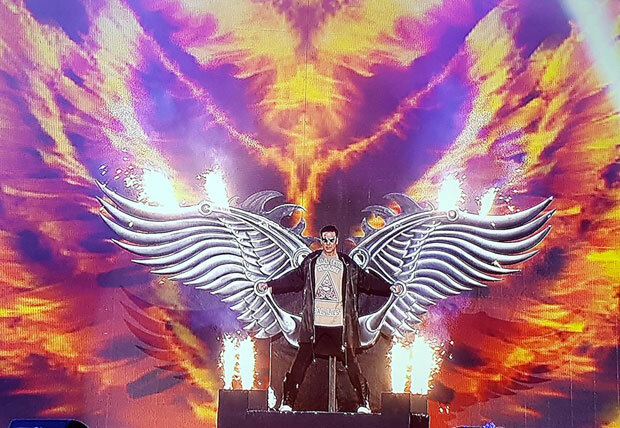 Up above the world so high… #2Point0AudioLaunch going to start soon!